With the dark January evenings setting in, and without the bright Christmas lights to alleviate the strain, many of us in the Northern Hemisphere are beginning to wish we'd chosen to settle somewhere a little bit sunnier. As we open our calendars to January 2014, we might excitedly flip through the months until we pick the perfect date, mark off some time for an escape, and begin crossing off the days until the we can finally hop in our cars or board the crowded plane that will take us away from the more mundane daily rituals. Holidays also allow us to leave the clutter on our desks behind, turn off our work phones, set an out-of-office response on our emails and kick back. Whether catching up with friends and the latest gossip, sleeping in past 5 or 6 am, eating something that doesn't require a microwave - or enjoying a vacation in one of your favourite getaway destinations and exploring new lands. Whether you are jetting to Florida for a lush vacation full of relaxation on warm, sunny beaches with sugar white sands and cool turquoise waters, or you're packing your ski equipment and warm jacket, and setting off for the slopes of Colorado, vacations are something that we universally enjoy and appreciate. And rather than booking a hotel or forking over a pretty wad of cash (so much for those designer shoes) for a ski lodge or bed and breakfast, there are some lucky individuals who've invested in their own corner of paradise, their own holiday homes. This is the latest trend in real estate and even some lower earners are hopping on board with this bandwagon. When you think of holiday homes, you probably think of some lavish beach house overlooking tropical waters but this is not always the case. A lot of people opt for a rustic log cabin nestled in the snowy pines of Colorado and others have found California to be the perfect state to escape to given the chance. As we take a look at America's most coveted holiday home destination spots, you'll notice a price hike corresponding with the level of popularity. For those looking to purchase a holiday home in this popular vacation spot, expect a fair amount of money - around the $300,000 mark. Although homes are available sit close to the water, you'll end up paying $500,000 upwards for a coveted view of the ocean. There are a lot of things to do in North Wildwood besides catching a tan on the beach including: dozens of parks and zoos, deep-sea fishing expeditions, and the scenic boardwalk all make this one of America's most popular second-home locations. It's also located on the Jersey Shore so for those of you who are big fans of the show, this might be at the top of your list when selecting a holiday home. It should be no surprise to see Florida on our top five list. Florida has been a popular tourist spot for generations and is one of the favourite places for retirees to live out the remainder of their lives in the sunshine. It's also one of the hottest spots for spring breakers - and for people looking to buy a vacation home. Although holiday homes are prevalent here, they're popularly bought as investments. You also have the option to rent these holiday homes for 6 months out of the year so if you are looking to pinch pennies, this is the city to do it in. With the sugar white sands or turquoise sea, and a location close to Disney World and Sea World, a holiday home in this picturesque and classically American city will set you back just under $300,000 on average. This city was originally called Little Bear Lake, before being changed to Lake Arrowhead. It's located in the San Bernardino National Forest - which is also known as the “Alps of Southern California” due to the mountain ranges and wilderness. 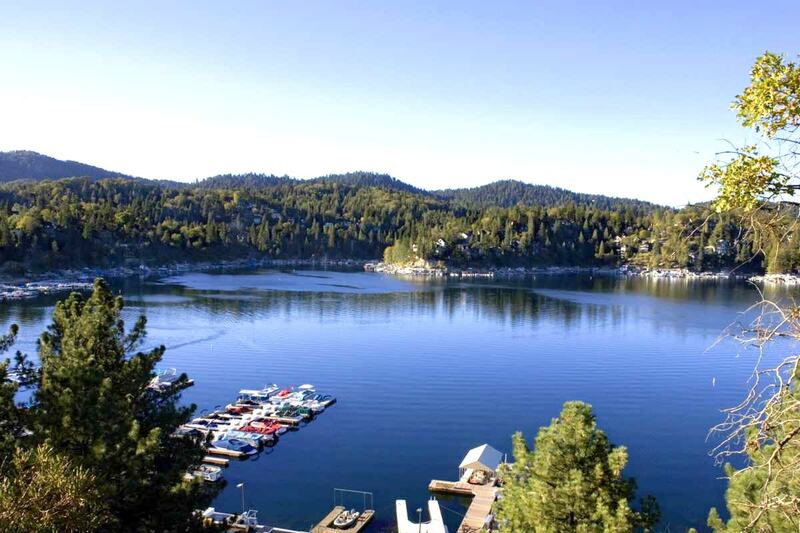 Lake Arrowhead offers picturesque views, pleasant weather, and caters exclusively to those who want something that feels a little more natural, an escape back to the elements. For those who decide to purchase a holiday home here, chances of good weather are high - the city typically enjoys 310 days of sunshine a year. To make the most of the climate, there's a wide range of outdoor activities on offer including hiking, backpacking, skiing, fishing, and much more. Two things are for certain when it comes to Lake Arrowhead: lucky second home owners here can have a year-round sun tan, and some serious outdoor adventures. It probably comes as no surprise to see another Florida city crop up on the list. It seems both American and international tourists can't get enough of the sunshine state and lately there has been an influx of outsiders buying up vacation homes. On Marco Island, you can enjoy the peace and quiet associated with living on a small amount of land while still enjoying perks of the sunny Florida lifestyle like tennis, boating, fishing and, of course, decadent beaches. For those who enjoy the night life, there's even a ferry service that will transport you to Key West where you can drink and party to your heart’s content. To have all this convenience on the doorstep of your second home is a coveted asset, though, so it'll set you back about half a million dollars on average. Ocean City is definitely a hot spot for holiday homes. People have begun to flock to this city as of late - and bets are, this is primarily because of the hit television show Jersey Shore. The show advertised the beautiful shore and all of the excitement that it had to offer, drawing international attention to the relatively modest beach resort. The asking price for a holiday home in Ocean City may can appear steep until you consider the benefits. Ocean City is only 2 hours from New York, located in the heart of the Jersey Shore, and it boasts the title - or so the claim goes - of America's best family resort. Whether you're looking for a beautiful beach, a buzzing nightlife, or family attractions - and regardless of your age - this is definitely the place to set your sights when it comes to picking a holiday home destination. If you've got over half a million dollars going, that is.